Arab Resource and Organizing Center | Stand up against racist attacks. Support AROC’s programming in SF Schools. Contact the SF Board of Education today! As many of you know, the Arab Resource and Organizing Center is honored to be the only community-based Arab organization working in San Francisco public schools, providing critical language and cultural programming for Arab youth across the city. Despite a positive assessment of our work by San Francisco Unified School District (SFUSD) staff and overwhelming support from the community, we have been informed that AROC’s Memorandum of Understanding (MOU) with SFUSD continues to be held “under review” due to pressure from a rightwing, pro-Israel interest group call the Jewish Community Relations Council (JCRC). We fought hard to get the Arabic language pathways program passed unanimously by the board of Education, enabling San Francisco students of opting into learning Arabic through K-12 public schools. But since 2015, AROC has had to defend this victory against the anti-Arab, anti-Muslim attacks of JCRC. AROC is firm in its commitment to anti-racism, anti Zionism and support of Arab and Muslim communities in the Bay Area., We ask you to help us stop the JCRC from kicking AROC out of San Francisco’s schools, and to stand alongside us in defending our communities against racist attacks. 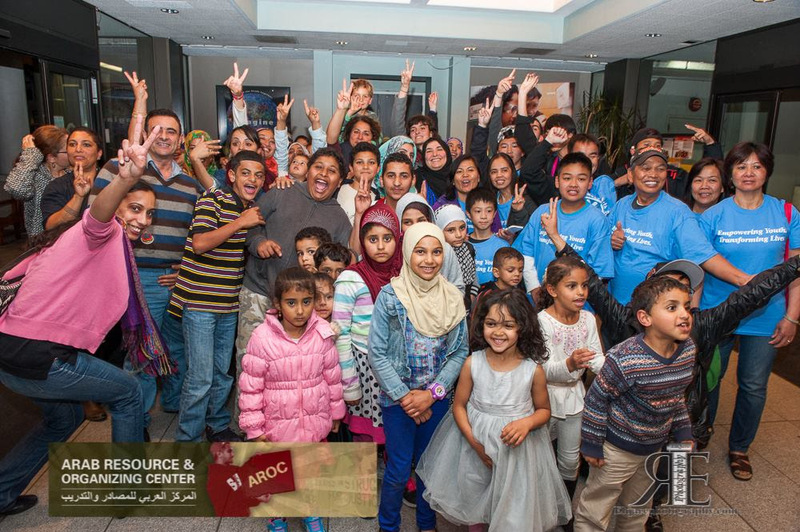 For ten years AROC has run programming in multiple middle and high schools in San Francisco, and has rigorously supported Arab and Muslim families in the academic and social achievements of their children. In this time of increasing attacks against Arab and Muslim communities, it is imperative we uphold and defend the rights of Arab youth to see their history and culture reflected in their educational curriculum, and to feel supported and empowered in our school system. We are all well-aware of the targeted attacks on Arabs and Muslims by the Trump administration and the demonization of anti-racist groups like Black Lives Matter as “terrorists” and “hate groups” by his supporters. We must not tolerate a continuation of these sorts of racist attacks by the JCRC here in San Francisco. We will continue to resist these assaults and defend our communities, and we ask you to join us. Call, email, and tweet the SF Board of Education to demand they allow AROC to continue our Arab programming in SFUSD schools! As the JCRC escalates its attack against AROC, stand strong in support of our critical community-based work in our schools. Click here to learn more about JCRC’s long history of targeting local community-based organizations, particularly those led by people color, when they express solidarity with Palestine. I’m calling to demand that you renew the MOU with AROC so they can continue to provide culturally relevant education for San Francisco students. Now more than ever, we must guarantee the right of Arab youth to see themselves reflected in their curriculum and to feel supported and empowered by the San Francisco school system.